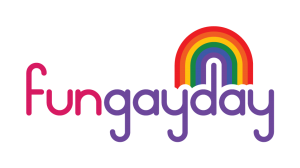 You can support FunGayDay with following packages. Sponsoring of the day itself, with a monetary contribution. Donate prizes for the raffle*. Give prizes for the goodie bag**. Sympathiser: a contribution of € 100 or less. Friend: a contribution of € 100 – € 250. Partner: a contribution of € 250 – € 500. Goodwill sponsor: a financial contribution of € 500. Of course, other packages are possible too – please contact us to discuss. * Please keep in mind that these have to be delivered to the winners too, where appropriate. ** These are smaller prizes, vouchers or articles, around 1,000 pieces. They should be able to fit into a bag, and not be in conflict with the character of the day. *** For the packages Lilac, Magenta, Red and Rainbow we (also) like to ask the sponsor to contribute € 50 (which adds up to measure the level of the package).